Five movies get the Arrow Video treatment in October. Arrow Video have announced their roster for October, with films from Lucio Fulci, Bernard Rose, John Landis, Jim VanBebber and Terry Gilliam receiving blu-ray releases. 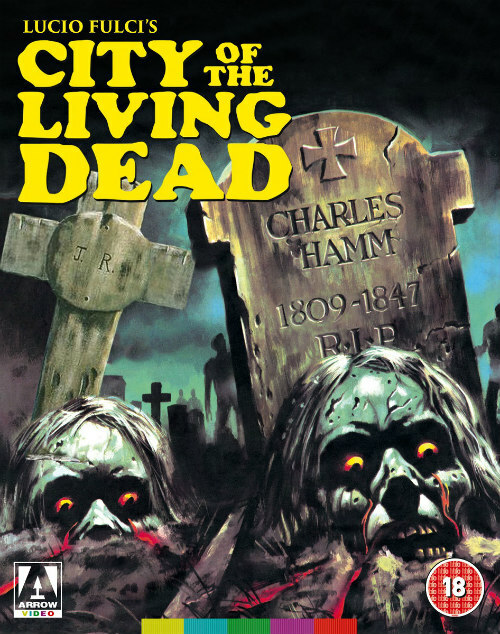 First up on October 8th is a 4K restoration of Lucio Fulci's City of the Living Dead, starring Fulci regular Caitriona MacColl and Christopher George as a psychic and a reporter who team up to prevent the opening of the gates of hell. Bonus features include commentary tracks featuring McColl, journalist Jay Slater, star Giovanni Lombardo Radice and writer Calum Waddell; new interviews with MacColl, Radice, writer Dardano Sacchetti, cameraman Roberto Forges Davanzati, production designer Massimo Antonello Geleng, cinematographer Sergio Salvati, special effects artist Gino De Ross, composer Fabio Frizzi, author Stephen Thrower, and father and son actors Venantino and Luca Venantini; and a new video essay by Kat Ellinger on Fulci and the Italian zombie cycle. 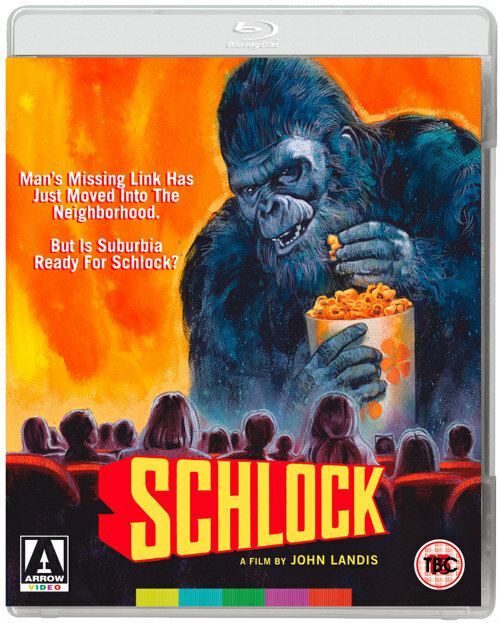 John Landis's directorial debut Schlock gets a 4K restoration on October 15th. The film announced not only Landis but make-up FX guru Rick Baker, who created the gorilla suit that plays a central role in this loving pastiche of monster movies. Bonus features include a commentary by Landis and Baker; interviews with Landis, cinematographer Bob Collins and critic Kim Newman; and a first pressing only booklet featuring writing by Joe Bob Briggs. 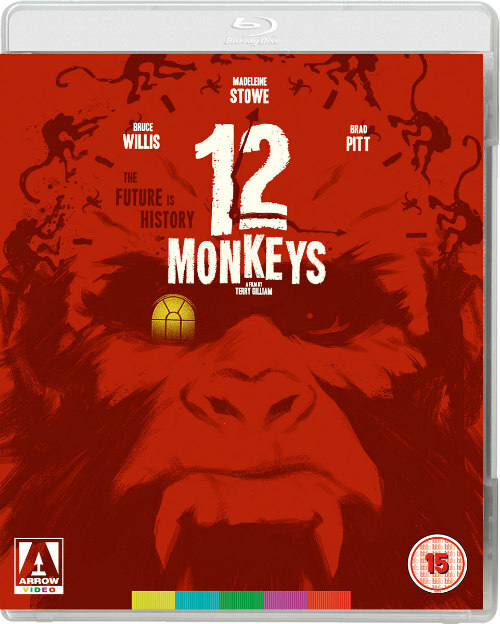 The simian theme continues on October 15th with a director approved 4K restoration of Terry Gilliam's Twelve Monkeys. Inspired by Chris Marker’s classic short film La Jetée, the film stars Bruce Willis as a time traveller attempting to averting the release of a deadly virus. Bonus features include a commentary by Gilliam and producer Charles Roven; a feature-length making-of documentary; and a first pressing only collector’s booklet featuring new writing on the film by Nathan Rabin. 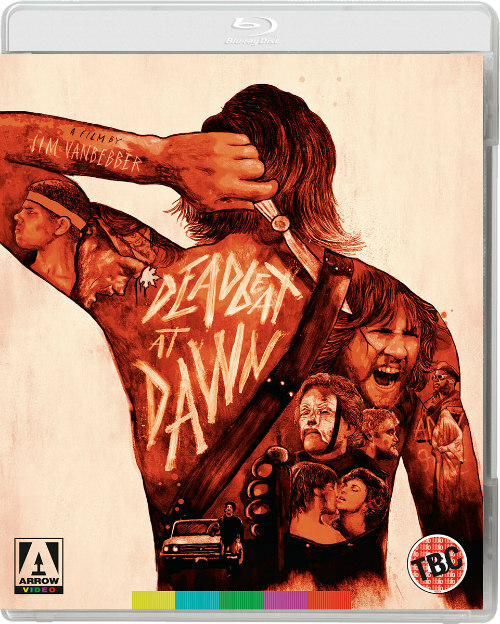 Controversial director Jim VanBebber approved this 2K restoration of his cult low budget feature debut Deadbeat at Dawn. The gory revenge thriller hits blu-ray October 22nd. Bonus features include a commentary with VanBebber, actor Paul Harper and guest Cody Lee Hardin, moderated by filmmaker Victor Bonacore; a new documentary on VanBebber's career; and restorations of four of the director's notorious short films. October 29th sees a 2K release of director Bernard Rose's Candyman. The adaptation of Clive Barker's short story stars Virginia Madsen and of course, Tony Todd in the title role of the killer who proves to be more than an urban legend. Bonus features include new commentaries with Rose and Todd, and critics Stephen Jones and Kim Newman; new interviews with Todd, Madsen, production designer Jane Ann Stewart, and SFX artists Bob Keen, Gary J. Tunnicliffe and Mark Coulier; and three restored versions of short films by Rose.